When talking about the food that this jumping animals eat each day include flowers, leaves, nuts and fruits. They can get it right away when climbing from one tree to others. Other delicious foods that this animal eats include young birds, bird eggs, grains, tree bark, grass, moss and ferns. 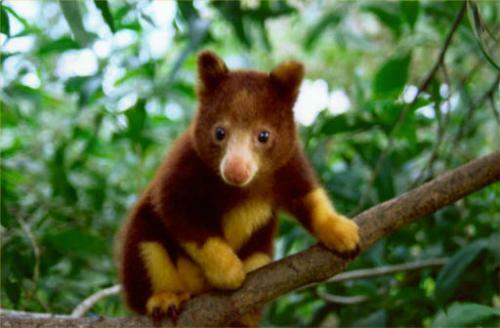 The gestation period for the female tree kangaroo is considered as the longest one compared to other marsupial. It can last for about 39 to 46 days. A young baby of tree kangaroo is called as joey. It needs 10 months for joey to stay in her mother’s pouch. The male tree kangaroo can mate with some female kangaroos. When the females get pregnant, they only build a strong bond with her joey. Marsupials are great climbers. Trees kangaroos can make a leap up to 30 feet. They will never feel any pain when jumping up to 60 feet from the ground. If you want to know about the kangaroo species, click kangaroo facts. 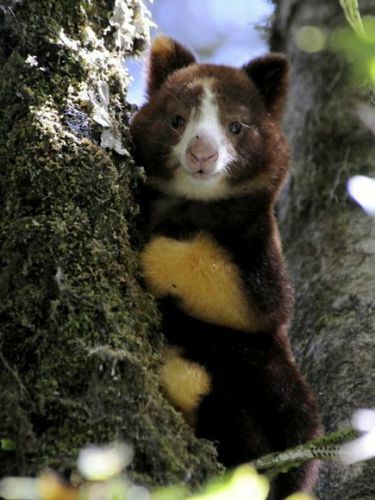 The tree kangaroos are considered as the only arboreal member in kangaroo family. 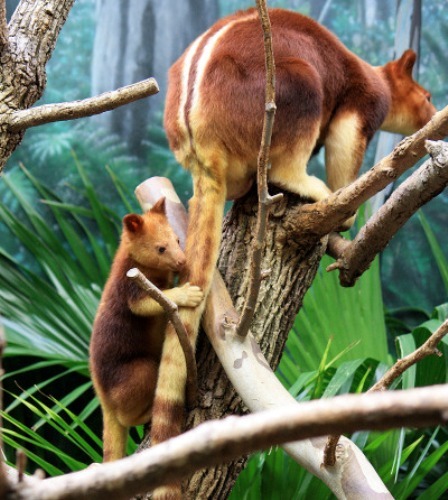 In the day, the tree kangaroos will search for food. The rest of day, they will sleep peacefully. If you want to know another marsupial animal, check koala facts. 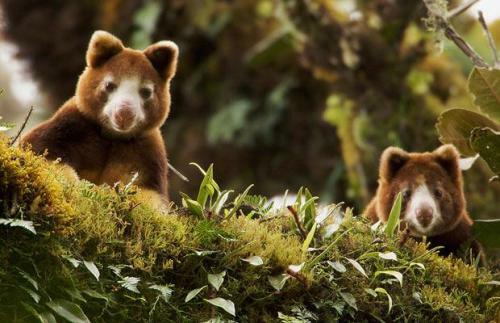 The population of tree kangaroos has been reduced from time to time. It is due to the farming, logging, oil exploration and mining located on their habitat. Without any home to stay, the tree kangaroos can become the prey of dogs. 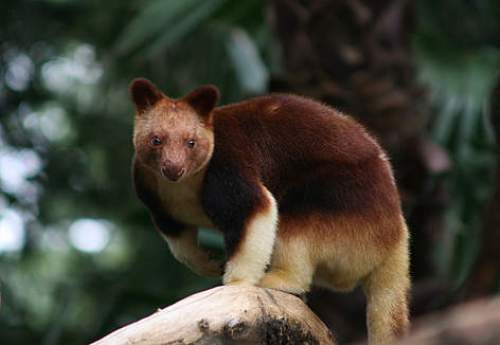 The tree kangaroos have unique physical appearance. The body is decorated with reddish or brown fur. The bright red color can be seen on the tiny ears, stomach, and feet. The face comes in white or yellow color. Their long and narrow tail is important to keep their balance when jumping and climbing the tree. The length of their tail is similar with the body’s lengths. You can call this marsupial with a tree kangaroo but the local people often call them as lowland tree kangaroo for they can be found in lowland area. Female and male tree kangaroos can live for about 20 years. The weight of the animals is between 15 and 30 pounds. Tree kangaroos can be seen spreading around Australia for this animal is the largest arboreal living creature in the world. When you like to learn more about facts about tree kangaroo, you go to Australia or the zoos in your towns.